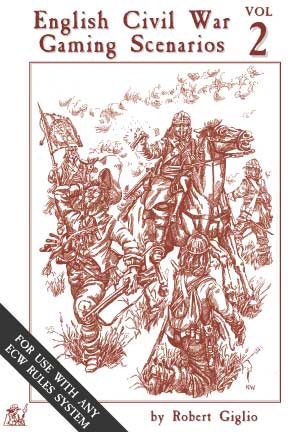 Well over a year ago I wrote a short review of an English Civil War Gaming Scenarios book a friend from Timaru was kind enough to lend me. This volume was the first in a series which I purchased, but until recently had not reviewed. Yesterday I took the time to write further short reviews of the subsequent volumes. They can be found in the Renaissance section of this site. The second volume is probably the best with an interesting mix of battles of various sizes. Though volume three maintains a close second place there are two scenarios which I can’t see as playable with the rules I use. As a result these hat for detract a little from what is otherwise a very good selection of battles. Of course they may be ideal for people using other rule systems. The final volume I have is volume four, which again has a couple of scenarios which I will not be able to utilise. That said, this volume does have several which are excellent, with Benburb and Inverlochy being classics and cry out for play on the wargames table.